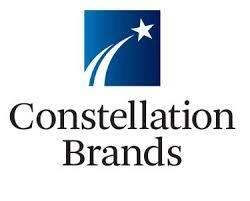 Alcoholic beverage maker Constellation Brands, Inc. (STZ: Quote,CBR.AX,STZ-B: Quote) on Wednesday reported 92 percent surge in profit for the fourth quarter from last year, as results at its beer segment were bolstered by the acquisition of Grupo Modelo’s S.A.B. de C.V.’s (GPMCF) U.S. beer business. Adjusted earnings per share for the quarter beat analysts’ expectations, while revenue matched their estimates. Looking ahead, the company forecast comparable earnings for fiscal 2015 above Street estimates. The New York-based world’s largest wine company reported net income for the fourth quarter of $157.2 million or $0.79 per share, up from $81.7 million or $0.43 per share in the prior-year quarter. Earnings per Class B convertible common stock increased to $0.73 from $0.39 in the year-ago period. The company completed its acquisition of its joint-venture partner Mexican brewer Grupo Modelo’s U.S. beer business from Anheuser-Busch InBev (BUD) for about $4.75 billion on June 7, 2013.